Sidney H. Levine, MD is a board-certified orthopedic surgeon who also serves as a Qualified Medical Examiner (QME), Agreed Medical Examiner (AME), Independent Medical Evaluator (IME), and expert medical witness in North County, California (San Diego). 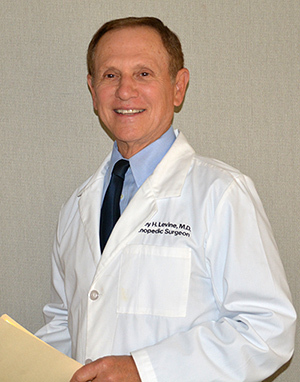 Dr. Levine also served as a medical officer in the United States Air Force. He is well-versed in the rules and regulations promulgated by the State of California in workers' compensation and provides expert testimony in trials with federal, superior, and civil courts. When you come to Dr. Levine's orthopedic surgery practice, you will ALWAYS be seen by him. He believes in building quality relationships with his patients in order to provide a higher level of continuity and quality orthopedic care.